I'm going to be driving down to Bestival this year instead of getting the train, well not me because I can't drive but I will be sitting in the front of my friends car hogging the CD player as usual. I always make the party playlists, make a mix CD for a road trip and spend hours perfecting Spotify playlists. 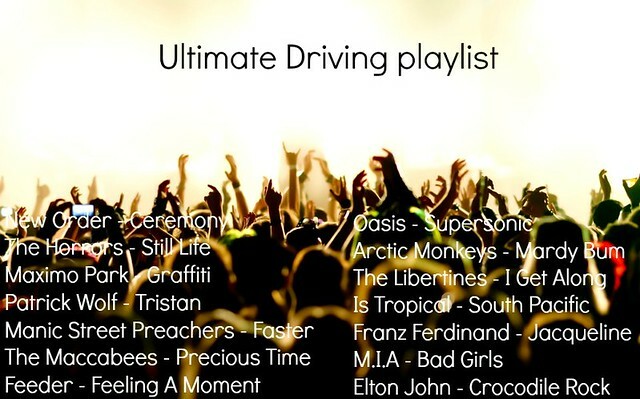 I spend more time listening to music than I do reading or watching TV so when I was asked to take part in the moneysupermarket.com Ultimate Summer Driving Playlist feature I knew I was going to have fun compiling my songs. 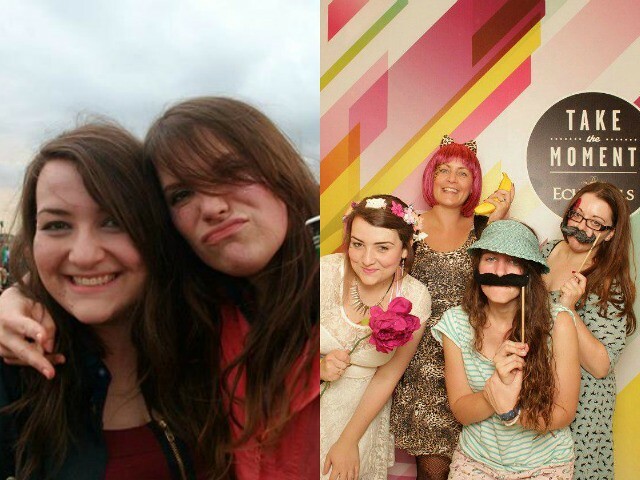 I'm heading to Bestival with my friends Harri and Laura who I've been to Reading and V with previously. All the songs on my playlist are by artists that I've seen at festivals in the past 8 years and some of the songs on this list have certain memories attached to them and the final four were chosen because they are on the line-up for Bestival 2013. Seeing New Order at Bestival last year was such a special moment for me. I was pretty gutted because I thought I wasn't going to Bestival and New Order are one of my favourite bands but I was very lucky to be invited to go by Echo Falls and spend the weekend with some of my favourite blogging ladies. Still Life is becoming a bit of a festival anthem for me, I've seen The Horrors play this song over ten times live and it always leaves me feeling really uplifted. I mainly listen to music by bands who split up years ago or who have members who are no longer with us so festivals can be a little tricky for me. I feel like the whole Disclosure type of music that fills festivals now is past me but when bands like The Maccabees headline a stage it fills me with joy. I've seen these lads move up the bill over the years and they are so genuine they make me smile whenever they take to the stage. Feeder will always have a special place in my heart, I can't say I've ever loved this band but I've seen them play at festivals so many times now and some of the founding members are local lads so I kind of grew up listening to Feeder and going to see them play in Newport. My favourite Feeder memory is going to see them play with Harri after getting bored by Kasabian, drinking a little too much rum and covering the crowd in glitter. We met people who we named Essex and Guernsey and sang our hearts out. If Oasis never reform I can say that I saw them play together for the last time.They played a set full of all of my favourite songs at V 2009 and there was no hint of trouble but they had split up by the next day and didn't turn up for the V down south. Any child of the 90s has a place in their heart for some Brit Pop I think. There is a serious message behind this campaign. THINK! research suggests that almost 20% of accidents on major roads are sleep or tiredness related. Listening to a rad playlist full of your favourite songs can help you to stay awake and alert on a long journey. You can listen to my playlist here, grooveshark is a fab free website where you can make and share playlists so well worth checking out. Don't make the same mistake as me when you drive to Bestival - take a spare tyre! Mine blew out and I didn't have a spare, so cue to a mad dash to find a cheap tyre and missing some really good acts!